Both Standard and Premium grade VermisTerra Earthworm Castings is available in bulk in 1-ton supersacks. Please contact us for more details on pricing. 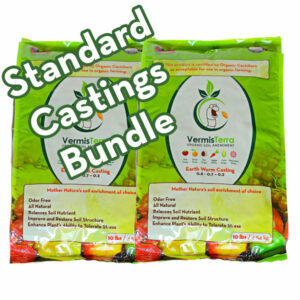 VermisTerra Standard Earthworm Castings is a stable plant nutrient and quality soil amendment. 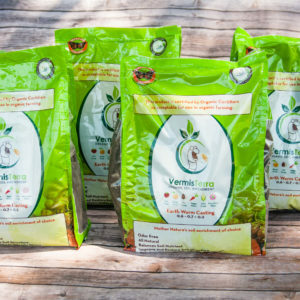 Great for all types of plants including vegetables, trees, flowers. This Coco Coir Castings set contains 1 brick of coconut coir and 10-lbs of Standard Earthworm Castings. 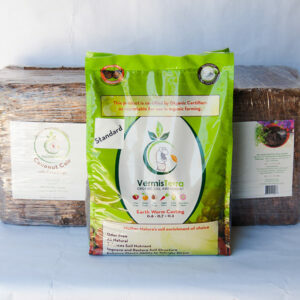 Mix together your blend of the ultimate grow media combination of aged earthworm castings and coco coir. This will provide a clean and stable grow media for your plants and allow for a greater amount of water retention while giving excellent aeration to the plant roots. This Coco Coir Castings set contains 2 bricks of coconut coir and 10-lbs of Standard Earthworm Castings. 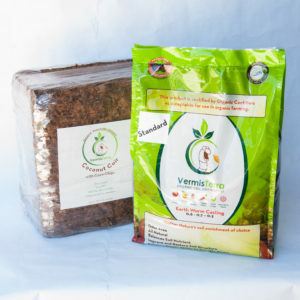 Mix together your blend of the ultimate grow media combination of aged earthworm castings and coco coir. This will provide a clean and stable grow media for your plants and allow for a greater amount of water retention while giving excellent aeration to the plant roots. 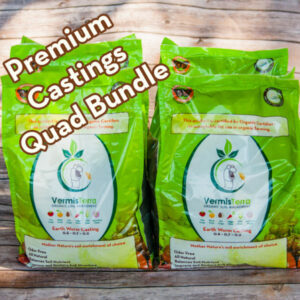 This Coco Coir Castings set contains 1 brick of coconut coir and 10-lbs of Premium Earthworm Castings. 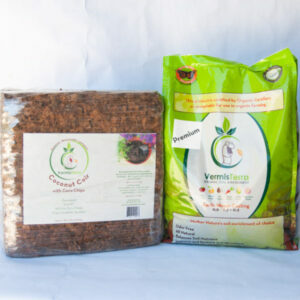 Mix together your blend of the ultimate grow media combination of aged earthworm castings and coco coir. 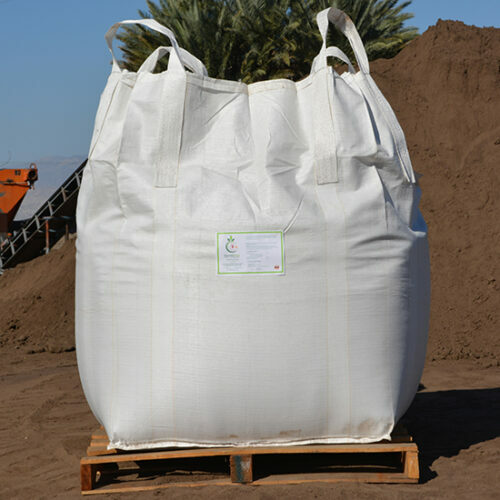 This will provide a clean and stable grow media for your plants and allow for a greater amount of water retention while giving excellent aeration to the plant roots. 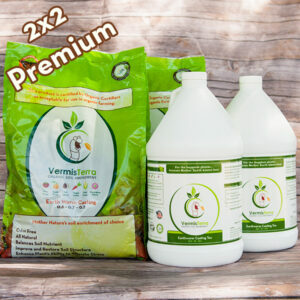 VermisTerra Triple Power comprises of all you need for a healthy plant. 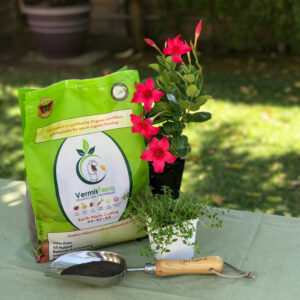 A mix of coco coir and earthworm castings creates a clean and stable grow media to provide great water retention as well as aeration to plant roots. 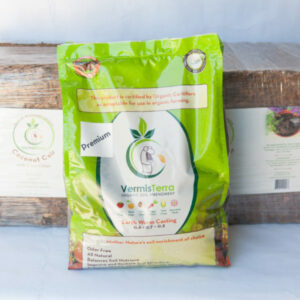 Along with the earthworm casting tea, the beneficial microbes will do all the work to keep your crop vigorous and strong. This Coco Coir Castings set contains 2 brick of coconut coir and 10-lbs of Standard Earthworm Castings. 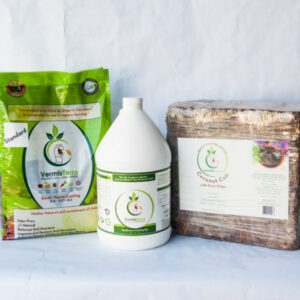 Mix together your blend of the ultimate grow media combination of aged earthworm castings and coco coir. This will provide a clean and stable grow media for your plants and allow for a greater amount of water retention while giving excellent aeration to the plant roots.